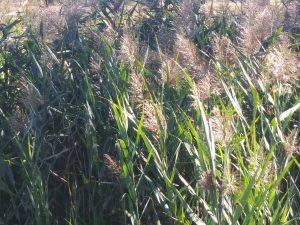 Landowners across southeastern Wisconsin know about common reed, an invasive grass that is even tougher than cattails. 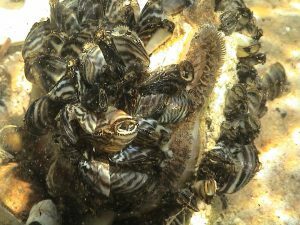 If this invasive species is on your hit list we have good news for you. Common reed (Phragmites australis), also called phragmites, invades moist habitats including lake shores, river banks and roadways. It has extensive rhizomes that can quickly spread underground and take over large areas. These rhizomes store energy, as a result, the plant can recover from cutting, burning or grazing. Common reed alters hydrology and wildlife habitat, increases fire potential, and shades native species. It can spread through root fragmentation, long runners above ground, and sometimes windblown seeds or cut stem fragments. Phragmites is on the Wisconsin DNR Chapter 40 list of prohibited and restricted species. 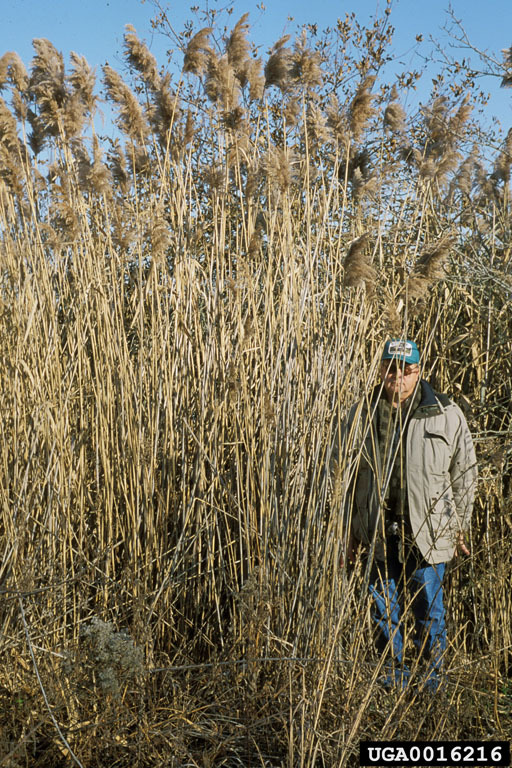 According to the Wisconsin Wetlands Association, Phragmites is the tallest wetland grass in Wisconsin. It grows upwards of 14 feet. Seed heads are visible from August to September, and it has a round stem, long, wide leaves. Its prominent plume-like seed head that is whitish to purplish in color. 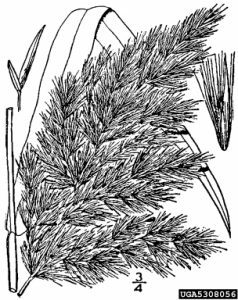 Be aware, there is a variety of Phragmites native to Wisconsin that forms less dense patches (you can generally see through the stand) and flowers earlier (July to August). 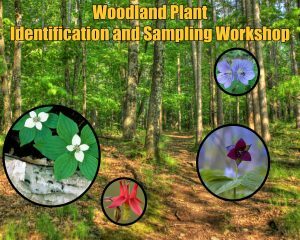 The Midwest Invasive Plant Network (MIPN) is working in partnership with the U.S. Forest Service Region 9, to host a series of 3 webinars in January and February featuring case studies of the restoration of sites invaded with exotic pest plants. The first event will be on Tuesday, January 16th, 11:30 – 12:30 CST. 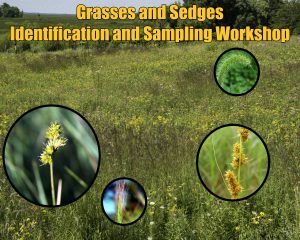 The presentation is titled “Bridging the Gap – New Insights on Technology and on-the-ground Management of Phragmites.” The presentation will be given by Steve Apfelbaum, Founder and Chairman of Applied Ecological Services out of Brodhead, Wisconsin. 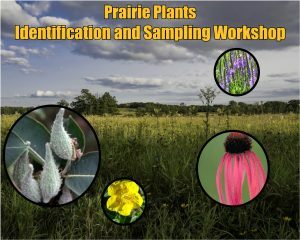 For free registration, please visit the MIPN site, and make sure the email address mipn@mortonarb.org is in your approved contacts to receive the webinar link. Lake Michigan’s magnificent shoreline faces huge challenges. 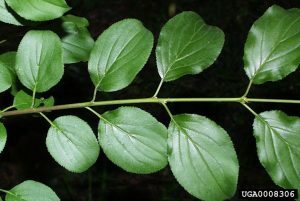 The EPA announced that it has awarded 2.7 million dollars to five Wisconsin groups to help control invasive plants in the state. The grants are part of the Great Lakes Restoration Initiative. The Southeastern Wisconsin Invasive Species Consortium will receive $600,000 to implement a multi-organization collaboration to control the spread of invasive species along 2,000 miles of roadways and more than 600 acres of woodland habitat. The collaboration will include local government roadway crews, property owners, community-based organizations and school groups. 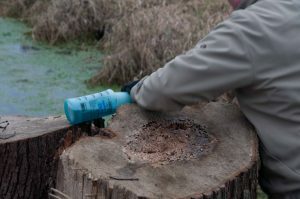 Volunteer treats freshly cut stump sapwood with Garlon 4 to prevent the tree from re-sprouting. 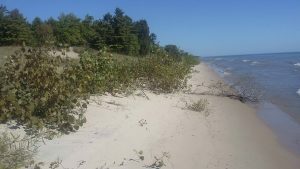 The Bay-Lake Regional Planning Commission is granted $599,997 to control invasive species on approximately 1,000 acres in Kewaunee County, Wisconsin. Funding will help protect high quality habitat, as well as increase access to the coastline and nearshore areas. 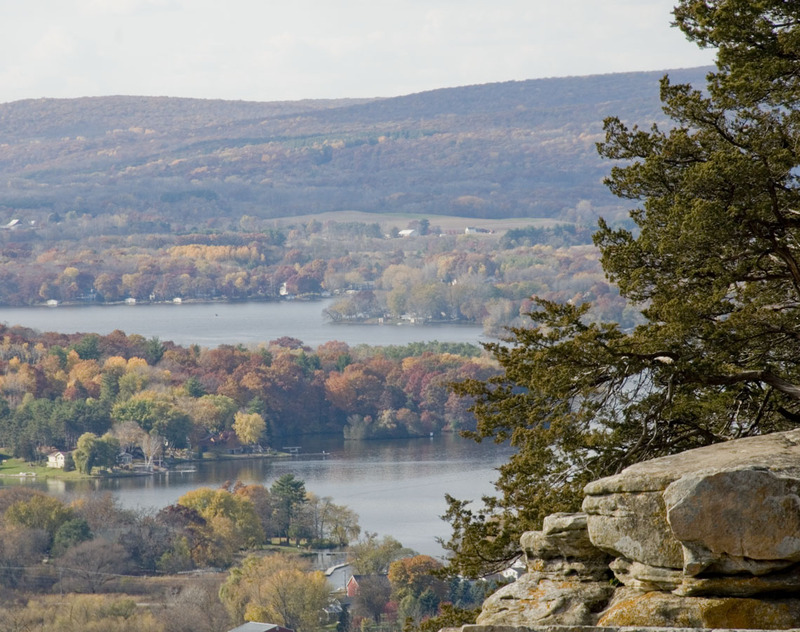 The Wisconsin Tribal Conservation Advisory Council will use their $393,750 grant to employ four tribal civilian conservation corps, who will work with eleven tribes to prevent the degradation of subsistence fish and wild rice resources. Funded staff will also manage aquatic, wetland and terrestrial invasive species on more than 500 acres of tribal lands. Gearing up for oak savanna restoration. 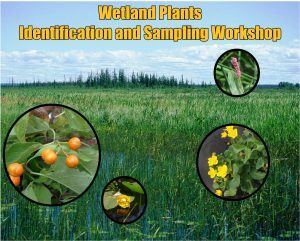 Two new invasive control employees will be funded for the Wisconsin Department of Natural Resources. 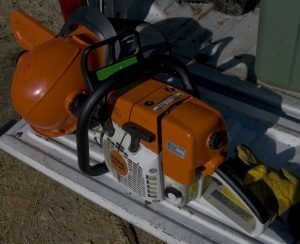 They will receive $551,669 to pay for two new crew members to control invasive species in 900 acres of the Great Lakes Basin. Lake Winnebago Chain of Lakes and the Fox River above Green Bay will be targeted. An award of $599,673 will go to the Lakeshore Natural Resource Partnership to control invasive species on approximately 1,370 acres of wetland and aquatic habitat in northeastern Wisconsin. The funded project will improve the ecosystem services and enhance tourism, property values and navigation. Contact Allison Nowotarski (nowotarski.allison@epa.gov) for more information about these grants.